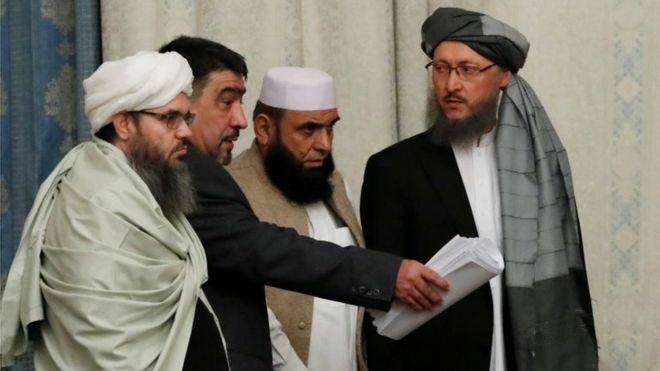 Led by Chief Secretariat Omar Daudzay, a HPC delegation is due to visit Pakistan as the main pivot is two goals, first to encourage Taliban for direct talks with the Afghan government and second attracting Pakistan support of regional consensus for Afghanistan peace. Following several marginal visits, this time that Omar Daudzay has undertaken this mission, the HPC expects that practical steps would be taken on implementation of peace. Movements are visible in connection to peace and role of countries on this process has been specified. We have wasted a lot of time in this period and now the president calls that it should be relied to the main peace address, Afghans ownership. The visits of American authorities show interest of that country to implementation of Afghan peace. But the Afghan government should have this capability to arrange in framework simultaneous efforts of Washington and regional countries on start of peace talks with Taliban and take advantage of available opportunity. Restoration of peace requires sincere cooperation of Pakistan. During his recent visit to Kabul, Pakistan FM Shah Mahmmod Quraishi assured the Afghan government that Islamabad would make every cooperation on peace of the Afghan government with Taliban. Experts believe that Afghan peace talks have regional and trans-regional aspects and only global pressure can make Pakistan to help Afghan peace process and at the moment there are signs of these pressures on Pakistan. But these pressures would only produce expected results that Islamabad to review her strategy on support of terrorists and put aside its war policy. If global pressures on Pakistan produce result and Pakistan review its policy, one part of complicated process of Afghan peace related to this issue, would be settled. In order to have access to a regional consensus, the US wants to keep balance between the two regional rivals of Pakistan and India. As a neighboring country, Pakistan should take sincere steps in peace process and act upon given commitments and agreements and enable both sides to benefit mutual security. In the past Pakistan had time and again talked on Afghan peace but according to Afghan authorities she has taken no sincere practical steps in this direction. Today due to encountering with unprecedented global pressures, this hope has increases that Islamabad would sincerely cooperate Afghan peace we hope so. Pakistan has always been accused of influence and support of Taliban. This time we would see her reaction. Otherwise, with ceremonial visits and continuation of double standard policies she would be further isolated globally.